Gadget Girl or not, the vote is still out on whether or not one should bring technology on vacation. Nevertheless, once I retired my film cameras and entered the digital age, traveling with electronics became a professional reality. Under most circumstances, plugging in to charge up isn’t an issue, but whether I have an electrical source to plug my electronics into or not is. Using solar energy to recharge or revitalize my electronic equipment is a great way to keep my gear running no matter where my travels take me. 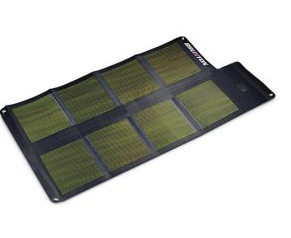 For technology that travels, check out these cutting-edge solar chargers and power up your next adventure à la Mother Nature. The PowerMonkey eXplorer kit comes with everything you need to charge most of your mobile devices, including cell phones, iPods, and digital cameras. Charge it up in the wall, or use the Solar Slave (included) to charge with solar rays. This is a VERY handy piece of equipment for backpacking, river trips, backcountry skiing, and travelling. * Compatible with the majority of standard mobile phones. *USB connectors power up iPods and accessories, MP3 players, PDAs, smart mobile phones, digital cameras, games, consoles, BlackBerry and Bluetooth headsets and many more digital devices. * Water-resistant, rubberized design - a power source for every adventure. 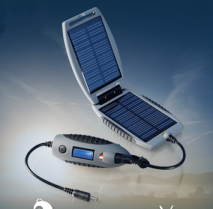 Powerful enough to charge all of your handheld electronic products at home or on the move, anywhere under the sun. * Works with multiple gadgets, including mobile phones, iPhone™, Bluetooth® headsets, smartphones/PDAs, MP3 players, portable gaming devices, digital cameras, GPS and much more. * Reusable - use it again and again. 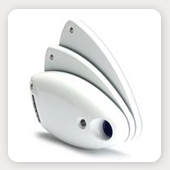 * Compact lightweight design - convenient for travel or emergency use. The next generation in foldable solar technology, Brunton’s CIGS (Copper Indium Gallium diSelenide) is the most efficient thin film solar technology available. Maximizing performance while optimizing portability, a Brunton Solaris panel is one of the most compact high output model available, with a design that instinctively converts incident sunlight into an electrical current, even in low-light conditions. The unit’s multi-section design folds up into a compact footprint that’s just a bit larger than a DVD case, while still delivering an impressive 26 watts of power, more than enough to charge a laptop or digital video camera or power a satellite or cell phone.